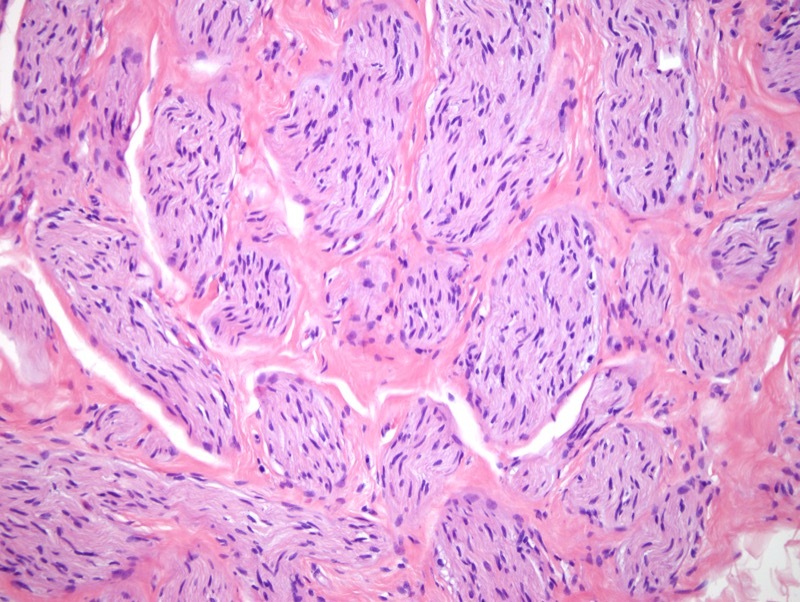 Traumatic neuroma results from disruption in a nerve either in the setting of trauma or post-surgically. 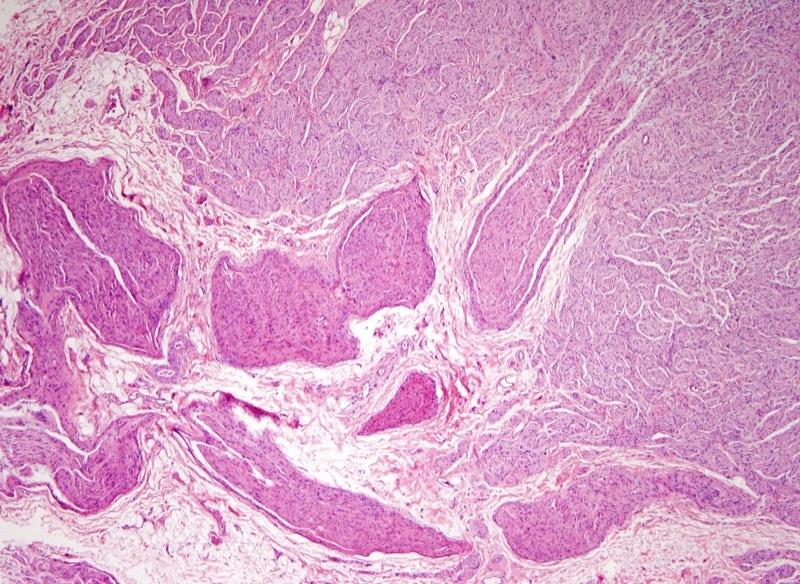 The proximal end of the nerve regenerates in a haphazard fashion resulting in a tangled mass of axons, Schwann cells and perineurial cells set in a fibrous or myxoid stroma. The growth is frequently painful. 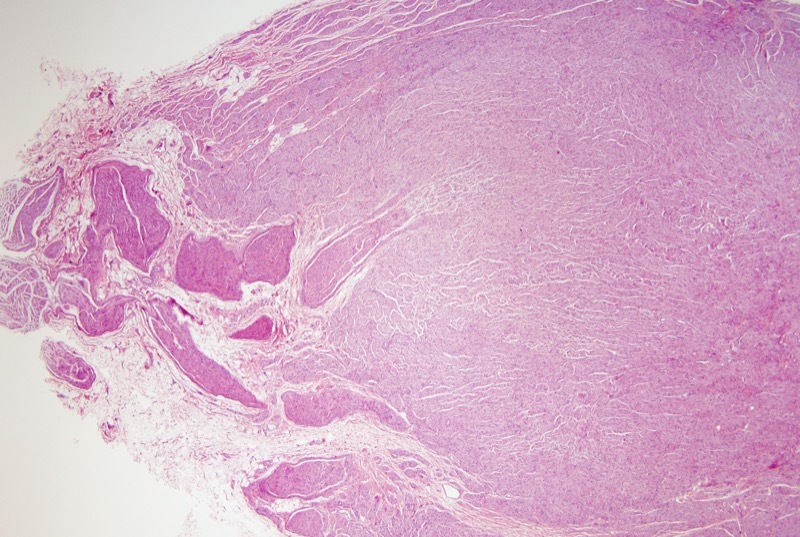 It is regarded as a non-neoplastic/reactive proliferation.